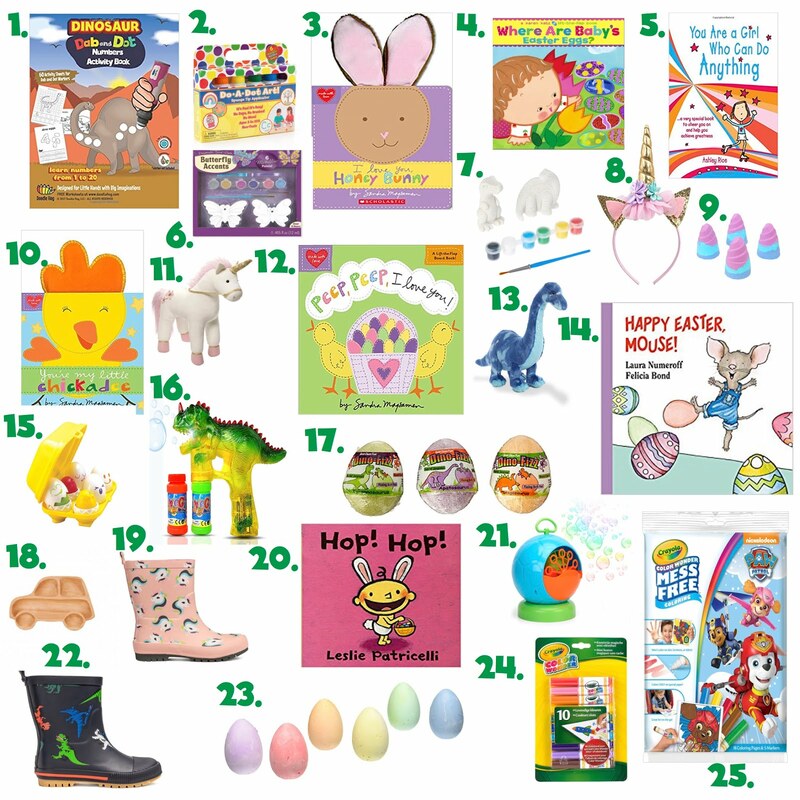 Easter is in just a few weeks, so I thought I would share some of the items I have purchased for Hudson's Easter basket. It is obviously going to be full of dino things, but that's what he loves. I also threw in some items of girls too! The uniform bath bombs (#9) have got to be my favorite. And all the books are the cutest!